Bart Ehrman is a New Testament scholar focusing on textual criticism of the New Testament, and the development of Christianity. He has authored or edited 30 books, including the controversial “Misquoting Jesus”, in which he states,“I realized...we had over 5,000 manuscripts of the New Testament, and no two of them are exactly alike.”1 It is from this central claim that Ehrman proceeds to attack the New Testament as a mere uninspired product of the human mind, which can not be trusted, since the various versions disagree completely on the most fundamental of ideas. Is Ehrman correct in his assertions? Are there differences in the manuscripts of the New Testament extant today, and do they bring its reliability into question? The fact is, Ehrman indeed does argue that the texts can not be trusted because of these variations- variations he admits are mere "small textual variations"- so he is subtly suggesting in his rhetoric that the fundamental doctrines of Christianity are in question. His answer, albeit shockingly honest, demonstrates a manipulative approach on his part. Note that, rather than simply admitting the textual variations are not of such a quality that they impact the history or theology of the New Testament, and leaving it at that, he shifts the focus to question whether theologians truly look to the text for their theology. You could call this a sort of intellectual slight-of-hand. He answers in a way that is truthful, but only to call theology into question, diverting attention away from his obvious foundational error. Any theologian worth his degree will carefully examine Sacred Scripture for the truths it contains, rather than bringing their presuppositions to the text for confirmation. Undoubtedly there are cases where a theologian has done so, but then, these aren't reputable theologians. Have some reputable theologians, at times, misinterpreted the biblical data? Certainly, but then other theologians, diligent in their pursuit to understand Scripture faithfully, come along and correct the errant theologian. If the errant theologian is persistent in his misreading of the data, it simply underscores the fact that he cannot be trusted in the field, and he falls into disrepute. If the error is egregious enough, he is denounced as a heretic, since he is out of step with 2,000 years of experience in the science of biblical interpretation, departing thereby from orthodoxy into heterodoxy or heresy. Such errors in interpretation happen in most fields of study where one is pursuing truth. The sciences have a long history of misreading data, and coming to some very faulty conclusions as a result. Eventually a scientist comes along who is more diligent, or perhaps adds more data, and comes to a truthful conclusion. No one would suggest that we completely ignore science, simply because some fringe, disreputable scientists hold to presuppositions or theories that are not substantiated by the data. Yet that is exactly what Ehrman would have us do with theology. The New Testament is actually quite faithful to what must have been the original autographs, One of the ways we know this is through internal evidences. For example, the Gospels are filled with Aramaic words and phrases from 1st century Jewish culture, preserved in the Greek texts. Why? Professor Alan Millard is quoted as saying, “The simplest explanation for the presence of these foreign terms in the Greek is accurate reporting.”3 Accuracy implies a faithful transmission of the preceding, and therefore original, texts. Brian H. Edwards, writing for Answers in Genesis, reports on a leading Jewish scholar on the rabbincal traditions of the 1st century, who stated, “We would naturally expect the logia of Jesus to be originally copied into codices.”4 Again, if originally copied in manuscript form, and then being witnessed to in later Greek texts of the New Testament, then we know, despite the minor variations from text to text, that we have a faithful transmission of the original. The scholarly consensus is clear, and soundly refutes Ehrman's minority opinion. The fact is, the New Testament is not harmed whatsoever by the minor variations in texts, its content remains consistent throughout, it demonstrates continuity with earlier texts, and is reliable in what it contains. 1Kinlaw, Robert; Stasio, Frank (5 March 2018). 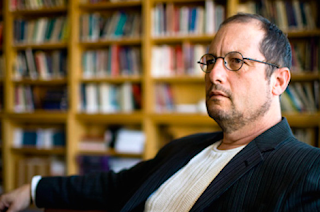 "The Sunday School Teacher Turned Skeptic: Meet Bart Ehrman".WUNC News. 3Millard, Reading and Writing in the Time of Jesus, p. 142. 5 Wallace, Daniel, "The Majority Text and the Original Text: Are They Identical?," Bibliotheca Sacra, April-June, 1991, 157-8.